Home/Featured/MI City Gay Rights Ordinance Thwarted, For Now. Recently in the city of Royal Oak, MI, the city passed a human rights ordinance that made it illegal for all business within the city to discriminate against LGBT people. The new law was to go into effect March, 2013, but a few business owners and some citizens of Royal Oak decided to start a petition to block the law from going into effect. According to Pride Source/Between The Line (a Metro Detroit LGBT publication), it appears that enough petition signatures were turned in at Royal Oak City Hall on April 2, to prevent the new ordinance to go into effect. This petition may force the ordinance to go before the voters in November of this year. One Royal Oak resident, Fred Birchard, 75, who campaigned against a similar ordinance in 2001, told the Detroit Free Press that he turned in 1,200 signatures, almost twice the minimum 746 needed to block the enactment of the ordinance. If enough of the signatures are validated by the Royal City Clerk, then the city commissioners will take up the ordinance at their April 15 meeting. At that meeting, they will decide whether to drop the ordinance altogether or vote to place it on the November ballot. Local residents, such as openly gay city commissioner Jim Rasor and local business owners are not happy that the ordinance has been blocked. Jim Rasor stated that if the signatures are validated, he has a high level of confidence that the commission will vote to put the ordinance on the ballot in November. Rasor is also a well know attorney in Royal Oak and is often attained in LGBT discrimination cases because Federal, State and Local laws do not recognize basic rights of LGBT people (perfect example of the importance of ENDA). 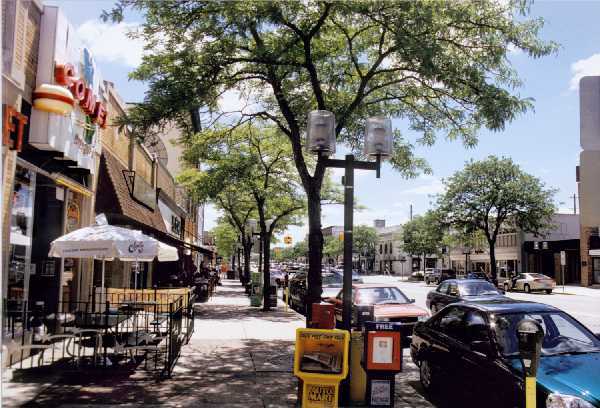 Royal Oak would have been the 22nd city in Michigan to enact a non-discrimination ordinance. The neighboring city of Ferndale, which has hosted Detroit’s Motor City Pride for years until it was recently moved to Downtown Detroit, passed an ordinance several years ago and Pleasant Ridge, another neighboring city, discussed a similar ordinance at their city council meeting April 9. If the ordinance goes to popular vote in November, it will be up to the business owners and residents to educate the residents of Royal Oak on the importance of a law of this nature. “The challenge to the ordinance represents a small number of voters in Royal Oak. Royal Oak overwhelmingly supports fairness and equality, as the commission did and voters will in November,” said Jon Hoadley, director of Unity Michigan Coalition, a group that represents six of the largest LGBT organizations in Michigan. Personally speaking as someone who lives local to Royal Oak and Ferndale, both cities have always been incredibly diverse and extremely accepting of LGBT people. Five 15 bookstore is an amazing LGBT bookstore located in the heart of Royal Oak and is incredibly popular with customers of all kinds. The city of Ferndale has always done what ever they could to help support the fight for LGBT equality. I have every faith that not only will this ordinance get voted to go to a popular vote in November, but the residents of Royal Oak will all stand up and tell their city that they ARE in favor of a non-discrimination act.